Are you watching the SuperBowl at Home? 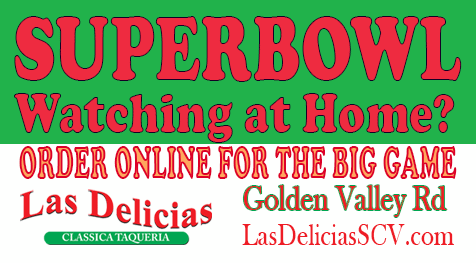 Order Online for the Game at Las Delicias Golden Valley Road. Or, Dine In and watch the game with us! 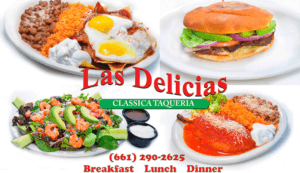 Eat the Best Right Here at Las Delicias Golden Valley Road, or take it home! Visit us on Golden Valley Road and get your First of Many Great Deals. Text SCVPROMOS to 95577 and save 15% the day you join!